In her monthly column for the Culpeper Times, CWF president Shari Landry shares ideas for kindness … and the benefits! Culpeper Times – Health & wellness: Hail to the core! Take a look to see what's going on in our world! 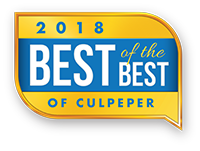 The Culpeper Quarterly is a publication of the Culpeper Board of Supervisors.